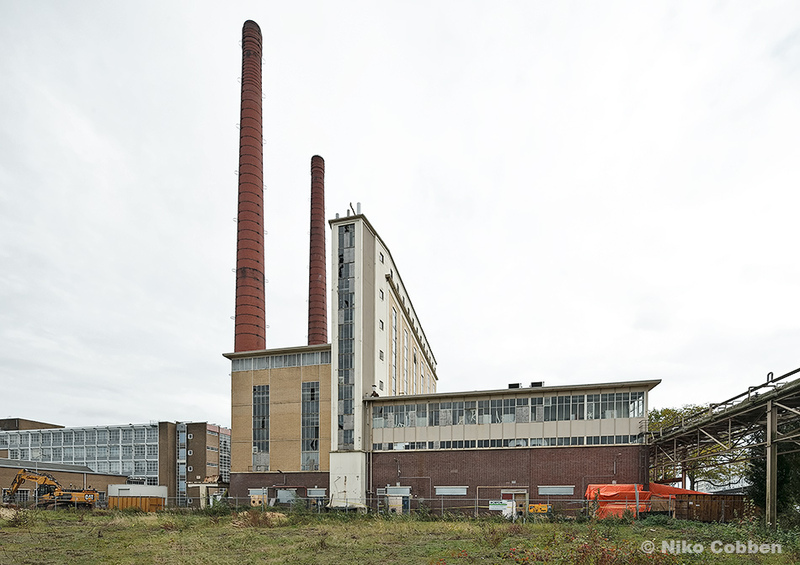 The former power plant from Philips in Eindhoven (NL). The plant has been built by Hollandse Beton Maatschappij (HBM) in 1951. The technical installations and turbines are produced by Stork Hengelo. Philips has built this plant because of the great need for electricity in the booming production of TV sets. The boiler house is at the left, the small high building was for the the coal bunkers and at the right the hall for the turbines. The present owner Essent (electricity company) has plans to demolish the plant.